Has anyone seen this ad before? I saw it on the Metro. 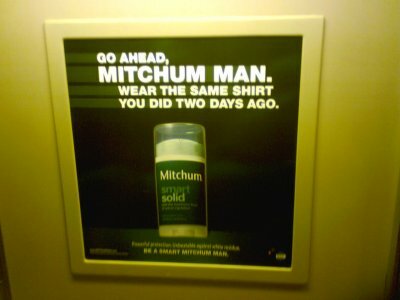 All I have to say is that if the so-called “Mitchum Man” is wearing the same shirt that he wore two days ago, I hope that shirt saw the inside of a washing machine on that day in between the two wearings. 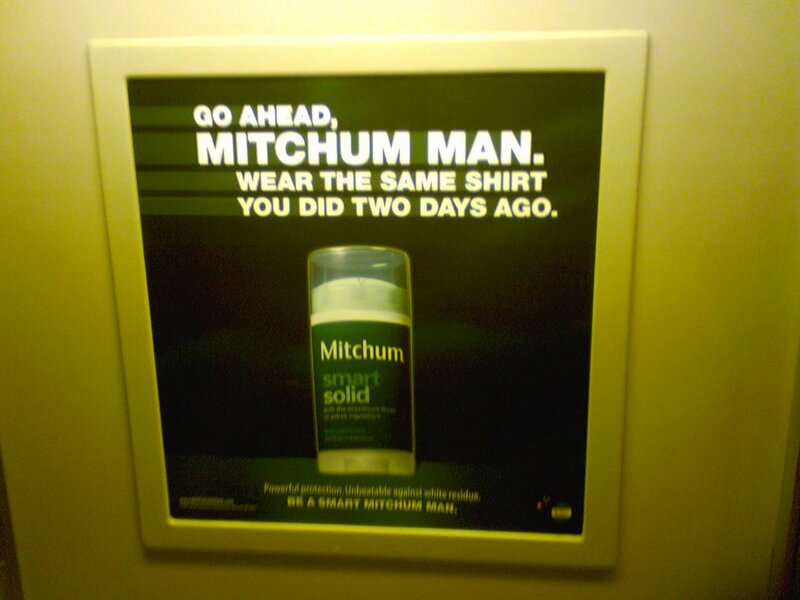 Otherwise, you’re going to have a very lonely Mitchum man, since no one will want to stand within ten feet of the guy, considering that the shirt would probably be able to get up and walk in on its own by then. Several hundred bad words later, I have a new dresser. First of all, let me preface this story by telling you that Mom came up to visit this weekend, and we went to Ikea in College Park. I’ve finally just about figured the place out, and so it’s no longer as intimidating as that first trip was back in May. Mom wanted to get some more silverware and various other odds and ends. In the end, we came out with a dresser for me, since I’d mentioned I needed to look at dressers since my present one was too small. In the bedroom department, they had dressers coming out of dressers. Mom and I found a dresser that matched my bed – the “Hemnes” style. Very dark wood. And this dresser was really big, too. So after perusing the “marketplace” where Mom got more silverware and various other stuff, we went into their big warehouse and fished out the two boxes that the dresser came in, checked out, and brought it home in the Sable. By the way, it’s a real you-know-what to carry that stuff up three flights of stairs. Just thought you ought to know that. Today on my way home from work, I got Rohr 1064, the second car in an eight-car train. The car had relatively new carpeting (it was the newer CAF-style striped carpet vs. the solid orange carpet), but mechanically, unless it’s going to see a second rehab, its best days are behind it, I’m afraid. Here’s what happened. I’m talking on the phone to Mom. The train pulled into Rhode Island Avenue station. *ding ding* Doors opening! Step back to allow customers to exit. When boarding, please move to the center of the car. Doors remained firmly closed. *ding dong ding dong* Step back, doors closing! *ding ding* Doors opening! Step back to allow customers to exit. When boarding, please move to the center of the car. *ding dong ding dong* Step back, doors closing! *ding ding* Doors opening! Step back to allow customers to exit. When boarding, please move to the center of the car. Doors were still firmly closed. I tried to signal to the customers at the door to use the bulkhead door. They didn’t understand my signal. So I said, “Mom? I’ll call you back.” So now I got up, and headed over to the end of the car, and hit the intercom button. The train operator answered, and I told him, “The doors aren’t opening on 1064. May I send them through the bulkhead door?” The operator answered, “That is correct.” So I grabbed the handle and pulled open the bulkhead door on the “blind” end of 1064. Then I reached through and opened the bulkhead door of 1065, and pushed that door open. Then I addressed the car, saying, “Anyone who’s getting off here needs to go through this door to the next car.” About six or so people went through. “Anyone else?” Getting no further response from my fellow passengers, I gave the train operator, who was standing at the cab door of 1065 observing the operation, a thumbs-up sign to indicate that we were done, and closed the bulkhead doors. The operator closed the doors, and we were off. What an awesome day at work! What an awesome day I had at work today! First of all, there was a protest outside our building at noon in support of detained water activists in El Salvador. It was at our building because the Chancery office of the Embassy of El Salvador is in our building. About half the office went down to join in. I was there with Big Mavica taking photos of the event for our office. Then later, I was part of the group that went in and actually met with the ambassador to deliver a letter. I met His Excellency Rene Antonio León Rodríguez and got to shake his hand. Pretty darn cool, if you ask me. Don’t ask me what was discussed at the meeting because most of it was in Spanish, and it has been a good ten years since I took Spanish class, and I have unfortunately lost most of it. I’m sure that if you dropped me in the middle of Barcelona or somewhere, it would all come back, but not at the moment. That’s one thing I really like about my job with Food & Water Watch. You get to meet some very well-known and/or powerful people. I got to meet Ralph Nader back in June. I got to shake his hand, too. Well, part of a Journal is better than no Journal at all, at least for now. Many of you have probably wondered what happened with the recent site outage, and the current state of the site. Well, here’s the deal. The site went down on Wednesday, July 18. The windows server that it lived on went down, and unlike most downtimes, it stayed down, and there was no word from my hosting people on what was wrong. Now as it was, I’d had a long-term plan to switch the site over from a Windows-based system to a Linux-based system by way of a host change. The forums’ changeover to phpBB at the end of March was the first step in that process. So once the Windows server went down and stayed down, I just simply changed my plans a bit. Rather than make the cutover somewhat seamlessly, or in stages, I did the full cutover and now I’m redoing the site to run under this new system. I went to the DC Wikipedia meetup with a coworker whom I met up with at Silver Spring, and we had a blast! The meeting was at Union Station, and we had dinner at Uno’s. 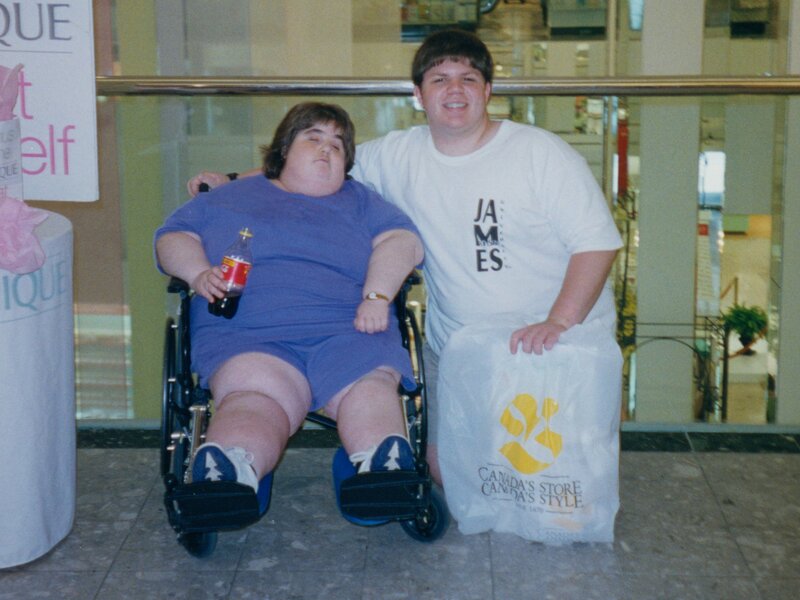 I think first of all, it’s neat to see what all these various people look like in real life. I mean, normally, what do you see? Just their online handle. 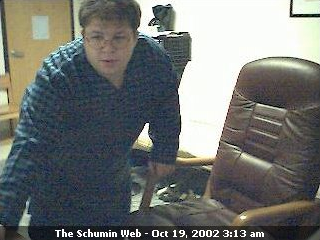 Me, I show up on there as just SchuminWeb. So it’s nice to put some faces on those names. It was neat hearing about the various Wiki-activities that everyone’s been involved in, and what our various ways of dealing with ugly issues are. 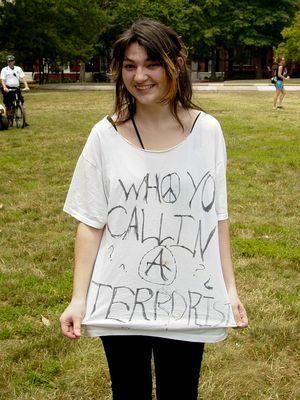 Some people try to resolve it. Some steer clear. Plus the stories we have. Articles that come up for deletion, survive, and then are renominated for deletion well down the road, and then die in the second nomination. Dealings with other users. You name it, we discussed it. Cable is downgraded, and so life is good! Comcast showed up today, and all is well again. And unlike last time, this time I was favorably impressed. One guy showed up – early, I might add – and he was polite, professional, and the whole thing took all of five minutes to complete. And I returned all the various Comcast equipment I don’t need anymore. Unfortunately, both of us totally forgot to think about the remote for the converter. I’ll bring that back to their office one of these days. I have no use for it. So now I just have to get my laundry done before the Wiki-meetup. I’m knocking my cable television service down to the bare minimum. The only reason I have cable TV in the first place is because I get a discount on my high-speed Internet if I get the television as well. I don’t watch much TV at all. To get set up in the first place, they had to make a house call. In said house call, they sent two guys. One guy handed me my equipment and plugged a cable into the wall and into the television. The other guy stood there and watched the other guy do his work. And for this, I got charged $25 for “installation”. They didn’t twiddle with anything else – they just came in, plugged me in, and left. They could have mailed me the equipment, and I could have hooked it up myself for free. Now, to downgrade my service to “el cheapo” cable, the one that comes with the various broadcast networks and not much else, it requires a house call. This is allegedly to “verify” my existing service. I can do without tweedle dumb and tweedle dumber, personally. I’m starting to think that the cable company is more interested in verifying that I can pay another $25 fee with this house call. I’d ditch Comcast entirely, but their Internet service is actually really good, and the stuff on YouTube is far more entertaining than the crap you find on television. Let’s add one more event to an already fun-filled weekend where I’m starting to have concerns about getting my housework done. Wikipedia’s having a DC meetup on Saturday, July 21 – the day before Mom and Sis arrive on their respective journeys. It’s going to be at Union Station at 5:00 PM at Uno Chicago Grill. I’d say this ought to be fun. If nothing else, this will be a fun opportunity to meet face-to-face with some of the people that I work with regularly in building and tweaking an encyclopedia. I’ve met a few Wikipedians in person already, just going about life. As with this Web site, I have my photo on my Wikipedia user page, so I’m fairly recognizable. So we’ll just add a sixth Metro day to the schedule for next week, going from Glenmont or Wheaton (I try to mix it up on the weekend) to Union Station. The general rule of thumb, however, is that I want to avoid riding Glenmont to Dupont Circle on an off-day – reminds me too much of going to work. Speaking of Metro, one of my sister’s friends from Virginia Tech, whom I’ve also met before, recently told her that she saw me on the Metro on my way to work. As a general rule, folks: If you see me on Metro, say hello to me. I may look completely absorbed in my copy of the Express, but I’ll put it down in a second to have a good conversation. And where they found me is no surprise – I do the same thing every day in my morning commute. I sit in the fifth car (sixth if it’s an eight-car train) of a Red Line train to Shady Grove, in the second row of seats behind the center door, on the left side of the train, with my copy of the Express. About the only difference day to day is the car number. It’s like tempting fate when you get Breda 4018 as your lead car. You may recall that number. It was the car that got hit in the Woodley Park-Zoo accident in 2004. But now it looks like a regular 4000-series again, with CAF carpet replacing the original orange carpet. Only thing different is it’s missing its exterior Breda horse. Otherwise, Sunday the 22nd is going to be fun, as two members of the Schumin family travel and meet in the middle. Sis is going to Minnesota to visit Chris at his summer job, flying out of Dulles. Mom is going to be returning to Stuarts Draft from Philadelphia, after a weekend out with her old college roommates. And where is everyone meeting? Silver Spring, Maryland, putting me into play. Dad’s not going to be able to join us, as he’s going to be elsewhere racing the Mini with his autocross group. So the question becomes what to do… the encounter will be brief, since Mom’s going to be roughly in the middle of her travel day. I’ve suggested having either lunch or dinner somewhere in Wheaton. That ought to be fun. I must say, it’s nice being along the I-95 corridor, since Richmond is to the south, and Baltimore and Philadelphia are to the north. In fact, both Baltimore and Philly are on my eventual to-do list, as Baltimore’s really close, and Philly’s about the same distance from me as DC is from Stuarts Draft. So who knows, maybe you’ll get to see some Philly photo sets eventually. For the first time in a long time, I have bought new pajamas. I had my first sleep in the new bed last night, and it was okay. The first night in a new bed is never five stars, because one is not used to it. But it’s going to be a wonderful relationship, I can tell. The bed is HUGE! This is a big upgrade from what I used to have. I used to have a twin bed from 1988, where the sleeping surface was only about a foot off the ground. This new bed, meanwhile, is what sleeping is all about. It’s queen size, and it’s got a box spring, a nice, thick mattress, and the sleeping surface is just below hip level. Problem: I need a table or something to put next to the bed. I currently have this tiny little wooden box next to the bed that’s only about a foot or so tall. The bed is tall enough that I can’t reach the floor from the bed, so I can’t feasibly put like a book and a thing of water on the floor next to the bed. So it seems another Ikea trip is in order to get a bedside table. Speaking of Ikea, I realize that they’re a multinational operation with so many languages spoken, but putting the bed together was a challenge using only the little pictures they showed. One of my neighbors said that you almost have to be a rocket scientist to put Ikea furniture together. But somehow, I made it.